Honors Graduates: Where Are They Now? In reflecting upon my college experience, I can say that the Honors program has played a pivotal role in the quality of my education. I feel like the Honors program gave me much more of a university experience than I had before joining. Before joining the Honors program, I simply went to my classes, tried to do well, and carried on with the rest of my life. Joining the Honors Program has helped me to feel like part of a community. I have spent more time on campus and gotten to know both peers and faculty. I also was able participate in two conferences and represent my school. This has all enabled me to make the most of my college experience. Had I not had the guidance and structure of the Honors Program, as a non-traditional student, I would not have had the opportunity to have this college experience that I missed in my late teens and early twenties. I would have completed my degree, but would have not been a part of campus life. As a single working mother I have not been able to participate in Honors activities as much as I might have liked, but I have attended the opening and closing of the school year events as well as two conferences and a couple discussions. It was participating in stuff like this that made me get a sense of community out of my college experience, which has been a great benefit and made college much more memorable for me. My only regret regarding the Honors Program is that I did not join it sooner. I feel so lucky to have been a part of such an enriching, supportive program. The HP truly enhanced my college career, and prepared me for my professional life upon graduation.While studying in the honors program, I was able to take graduate level courses with sometimes no more than eight students in a class. During which I was challenged to come to class every day and discuss in-depth a menagerie of thought-provoking topics--from Mindfulness to Jesus of history. These in-class discussions were among the most engaging times of my life. Beyond the graduate level courses, personal connections and meaningful support from professors, HP staff, and so on, I believe that the Mid-East Honors Conference (MEHA) was the height of my Honors Program experiences. Attending MEHA required extensive research on a topic of my choosing, which I then presented to students and professors from various other Honors Programs in the region. Not only did this prepare me for post-graduation, it also allowed me to grow closer with many of my fellow students, and learn a great deal about an array of fascinating topics from dedicated experts. I will always have fond memories of the adventures that were shared at MEHA. The IUS Honors Program allows for all levels of student engagement; whether you're able to join the HP Student Advisory Board or you come to the frequent game nights, the IUS HP will find a place for you. It provides two of the greatest aspects every college student needs--support and camaraderie. If I had to use one word to describe my time in the Honors Program, I would say that the Honors Program has been enlightening. It has been enlightening in many ways. The Honors Program has given me chance and an opportunity to become someone I was meant to be. It has given me the tools and skills to succeed academically, as well as, socially. The Honors Program classes, teachers, and classmates have opened a world of unique chances and diversity thatI did not have in my small town growing up. In addition, the Honors Program helped me branch out and get involved throughout the campus and showed me I could do many more things in college then just go to class.I began my graduate studies in Fall 2015 at Middle Tennessee State University, and I graduated with my Masters degree in May 2017. The time I spent working with the Honors Program enhanced my university experience, both academically and personally, to a much greater degree than I could have envisioned. The Honors Program guidance I received, especially from Dr. Salas, and exposure to specialized course work (outside of my major) challenged me to get out of my comfort zone, reexamine familiar concepts, and explore new ones. The feedback I received always voiced my strengths, gave me clear direction for future improvement, and was a force of encouragement above and beyond that of which I had typically experienced elsewhere. I am especially grateful when skills were brought to my attention that I did not know I had. As a result of receiving constructive and positive feedback, I began to experience the synergetic effect of competence and confidence improving each other within me. One of the most important awakenings I had was the awareness that I was experiencing the “spillover effect” and was conscious of it for the first time. It became apparent that improving one area of my life spilled over and improved the rest. This realization may not have occurred nor may I have gained the skills to reflect on it as quickly as I did, had I not been positively guided and educated by the Honors Program. The most important part of my Honors Program experience was that it offered opportunities to do meaningful work, such as promoting at the Honors Program at Campus Open House, volunteering at Dare to Care, and gaining research and presentation experience at MEHA. I believe that the most profound learning opportunities I experienced during my time with the Honors Program occurred when I stepped out of my comfort zone. I learned the value of proactivity and also how to be proactive the right ways. Through these experiences, I have learned about my deepest strengths and I have realized that I have a natural social fearlessness that is key to my future success as a leader. When I attended MEHA, I realized that when I spoke about what I knew, people listened. Uncovering this ability and utilizing it in the future will continue to bring everything I have ever wanted into my life. From my acceptance to now, I have nothing but positive experiences and total relief to report. From the beginnings in H103/104 when I had the great pleasure of meeting Professor Dement and a fantastic class (even though I was much older) to my current enrollment in my last Honors course, “Mindfulness,” I have been very blessed through all of it. Even though there were times of craziness and seemingly wild stress and challenges, I knew that it would be to my benefit to see them through. It felt like I was somewhere I finally belonged, and should have been 4 years ago, it felt like starting again. My first few classes with HP literally taught me how to handle public speaking. And although I am still not perfect, and never will be, I do remember those times with the video camera and Professor Dement nudging me to make eye contact more. The MEHA conferences and IUS student conferences were a fantastic and invaluable opportunity to showcase your thoughts and ideas with like-minded individuals. MEHA Columbus was one of the best experiences of my college career at IUS and I will never forget it. I met someone who I consider to be one of my closest friends and who will continue to be for some time, Michele Hop-Ganev. I was able to explore bookstores, art museums and restaurants with students who were as equally excited as I was. I was able to laugh hysterically with my roommate back in my hotel room after running through my presentation for the hundredth time and still getting stuck at the same place. She helped me stay focused and calm, which I am still appreciative for (Melanie Smith). Just an awesome experience and one I would have never had, had I not applied to join HP. There is one other thing about the HP program that I should mention. And that is what happens off-campus. Aside from having the awesome chance to volunteer both at Wicked and at La Sylphide at the KY Center for Performing Arts—being an Honors student is something you carry with you. I am 29 years old and I have had a very complicated life. Sometimes I have bad days, as we all do, and life starts to feel suffocating. Whether it be bills, unexpected expenses, rent, work drama or family drama-I always hang on to who I have become through IUS. When everything else feels out of place or unexpected, I take solace in the fact that I have been driven to do my very best on campus. That motivation does carry over, it does hold meaning in my personal life. I do not think it is an exaggeration to say that IUS renewed and gave me a rebirth of sorts in the world of academic life. The Honors Program served to encourage, challenge and confirm my choices to commit myself to the highest standard of academic excellence that I could possibly achieve. Aside from this, the people, classes and moments I have experienced will carry on long after I graduate. I am currently serving as a Client Analyst at Schneider Electric and as an Independent Contractor with Neuronetrix in Louisville, Kentucky. "The Honors Program is unique. When people ask me “What is the Honors Program?” I often find that I have a hard time describing it to them. I originally joined the program because I wanted a challenge in addition to completing my secondary English major and raising my son. The classes expect you to get work done, but it is not as much “hard work” as what scares most people away. The classes have assignments, papers, and tests, just like any other class. They are unique because you never know what the topics will be. For example, I took a class about insects last semester and I am now in a history of American sexuality class. There’s something in the program for everyone. Beyond the workload, there is more to the program than what meets the eye. The class sizes are smaller. This has been a great experience because I feel more comfortable talking to the professors one-on-one. This has transferred over to my other classes as well. I feel more determined to get that one-on-one feeling from my other classes. Also, I am able to meet people that are not in my major. Some of my good friends now are people in majors such as business and psychology. If it had not been for the Honors Program, I would have never met these people. The Honors Program is what I do to be more involved in campus life. I am not an athlete, nor am I good at art, and I am not sorority material. The Honors Program is where I feel that I fit in, and as a result I have been more active on campus. I am currently in the Honors Program Student Advisory Board (HPSAB). This is a great place where I can help decide what goes on in the program, such as special events. It is through HPSAB that I can be a part of campus activities." "After a ten year absence from the academic world, I was a bit apprehensive about continuing my education. I have always been a shy person who tended to say as little as possible in a traditional class setting. The format and size of the classes offered within the Honors Program helped me to break out of my silent comfort zone. In addition, my public speaking, critical thinking, and writing skills have improved. During my first full-time semester after returning to the academic world I attended two honors classes. The History and Culture of the 1920’s, masterfully taught by Dr. Beeby, was the most diverse and rewarding history class I have taken in my academic career to date. Dr. Salas did a fantastic job with Common Intellectual Experience during the same semester. I appreciate her enthusiasm for education and her wonderful constructive critiques of speeches and written assignments. The wonderful staff and diverse student body within the program gave me a place to belong and definitely made my return to academia a great experience. Thanks, Honors Program!" 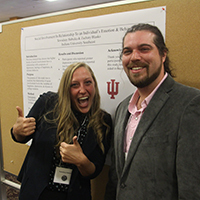 "The Honors Program at IU Southeast has provided a community of deep inquiry and respectful discourse. Honors students in the research programs have delved into real-world problem solving through molecular biology, the study of foreign languages not taught in our area, and time intensive art projects that would have been impossible otherwise. The staff and students are both involved in creating new and exciting courses that have produced complex and worldly graduates. I wouldn't give up these discussions and people for anything. My experience in the Honors program has been the best part of going to IU Southeast. Every class I have taken has opened my eyes to new aspects of our world. One Honors discussion course may have a Chemistry major and a Literature major doing research together while utilizing their own strengths to broaden the scope of their investigation. Perhaps a better name would be the “Holistic Inquiry” department." "The best part of being in the Honors Program is having the opportunity to work and interact with academically-motivated students from other disciplines. I am so immersed in my studies as an English major that I don’t frequently meet students in other departments, so I love getting to learn from honors students who are in various disciplines. They bring new perspectives into the honors classes that I would not have thought about. The round table-type format of the honors classes I have taken thus far fosters opinions and expertise from those disciplines, and I feel that as a result I will have a more well-rounded college experience. Overall, participation in the Honors Program has been rewarding. It’s nice to be recognized for dedication and hard work, but it is also humbling to see how many determined and brilliant students there are on campus! I’ve seen how the program has helped other students formed cohesive social bonds, and I enjoy interacting with other students in the program as often as I can. The diversity of honors classes offered permits an intensive study of other disciplines, and the knowledge I have gained from these classes is indispensible. I am grateful that the program is available to foster my growth as well as that of other students." "My time in the Honors Program was such an interesting experience that it would be difficult to condense into a few paragraphs. Indeed, intellectually, as I learned throughout HP classes and discussions, there are many ways of expressing oneself and following one’s creative or academic vision, so truthfully I should summarize my HP experience through a snappy limerick. Because of the difficulty of thinking up a rhyme for words like “intriguing” or “formative experience,” I will refrain from limerick-making, and will only say that my time in the HP was truly one of the best parts of my undergraduate career. I made friends, delved into new fields I wouldn’t have explored otherwise, traveled to the distant shores of Kalamazoo and Dayton, Ohio, and learned that Elmo is a character of much more depth than one might ordinarily think. My future goals: I will be studying at the University of Louisville Brandeis School of Law, where I will spend the next three years pursuing a law degree as well as a Master’s degree in political science. Creatively, my goal is to self-publish an entire trilogy based on the superhero novel that I wrote during the HP." 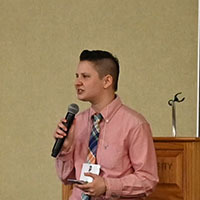 "My time as a student at IU Southeast has been profoundly impacted by my involvement in the Honors Program. While I could talk a great deal about the rich offerings within the Program, I feel that the flexibility the Honors Program gives its members deserves special attention. Through the HP I have been afforded great opportunity to pursue topics within my major field of study, as well as those out of pure interest. The culmination of my Honors thesis has allowed me to synthesize my undergraduate experience while working closely with faculty members on a project of my own design and direction. I have no doubt that my preparation for graduate study has been enhanced not only by the advising I have received as a member of the Program, but also through the liberty and backing I enjoyed in getting my degree path to look, feel, and include the things I most valued. Ultimately this is what has made my experience in the IUSHP such a rich one, it has enhanced the most positive aspects of my time at IU Southeast. 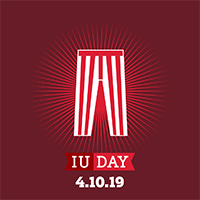 Since ours is a campus that prides itself on small class sizes and direct involvement with faculty members, the Honors Program has represented for me a more concentrated form of what Indiana University Southeast strives to be." 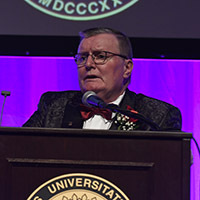 "As I started here at IU Southeast, the majority of classes took place in the laboratory. In fact, the chemistry laboratory was my home for the first couple of years. However, when I joined the Honors Program, I was pleasantly surprised about the classes I was able to take. The classes in the Honors Program opened my eyes to new worlds, full of various combinations of educational disciplines – Literature and Science in the form of Science in Science Fiction; Biology and Psychology in the form of Evolutionary Psychology; Nutrition, Sociology, and History in the form of Food and Society. Each of these classes would have never been available to me had I not joined the Honors Program. Each Honors Program class opens up to class discussion with a variety of majors, putting Nursing, Natural Science, Literature, Psychology, and Political Science students together to discuss the intricacies of heroism in Greek tragedies. Nowhere else on campus are you going to get such a diverse set of class topics and students in one classroom. And while the Honors Program classes are so vastly different comparatively to the chemistry classes I took my first year, I still see similarities between the two – both classes center about synthesis and analysis. Students in chemistry laboratories synthesize chemical compounds and, furthermore, analyze the chemical compounds for identification and purity; however, in the Honors Program, thoughts and ideas are synthesized and are further analyzed in the class via peer discussion. This is why I like the Honors Program classes – the diversity of the Honors Program students in these classes allows for the thoughts to be approached from many different angles. That, and I don’t have to wear goggles!" "More than anything else in undergrad, my Honors Program experience has prepared me to engage critically and creatively with the multiple disciplines that converge in my field (TESOL and Applied Linguistics). 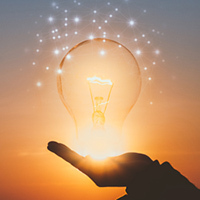 The HP laid the groundwork for a truth that I would realize only much later: that to successfully apply knowledge in any field, one must be able to integrate knowledge from many fields. 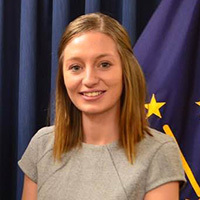 Working with honors students from different backgrounds helped to broaden my understanding of the way the world works, and has spurred me on to insights in my own field which I think would have lain dormant without the stimulus of interdisciplinary discussion." "I love teaching in the Honors Program! There are a variety of features of the HP that offer the opportunity for a very different kind of experience from the professor’s perspective, and they are differences I enjoy a lot. First, the classes are smaller than almost any other classes I teach and this permits completely different approaches that involve much more interaction and engagement with the students. Second, it seems that the kind of students the HP attracts are ones that have learning as their top priority, despite sometimes lots of demands from work or family. There’s a good dynamic when everyone is on the same page in terms of focus and motivation. Third, the HP creates a sense of being a community of learners and that also creates a different dynamic in the interaction between faculty and students. I often feel much more like a mentor and less like a rule enforcer than I sometimes do with other classes. I have taught two Honors Seminars and they both developed different dynamics, but I really came out admiring the commitment and efforts of the students in both groups. In the seminar with a theme of globalization, all of the students were incredibly active in engaging with the material. I would begin the class meeting with a question, and they were amazingly good at arguing different points and (respectfully) disagreeing with one another and challenging the others’ views. Sometimes I had to make an effort to have a chance to speak to add some additional perspectives or redirect to another question, and a few times, when they felt I had talked too much and they wanted to resume control of discussion, they told me, respectfully, to be quiet – and I loved that. It was exciting to see them so thoroughly grappling with the material. The other seminar I taught had a theme of genocide, which is obviously an incredibly difficult and depressing subject. I felt a huge amount of respect for the commitment and courage of the students who did not falter in the face of tough subject matter. They were willing to devote a huge amount of time and energy engaging with this material with the belief that it was important to know this dark side of human interactions – that takes both perseverance and heart. The chance to work closely with a small number of smart and motivated students made both of these teaching experiences very unique ones for me, and I was enriched, personally and professionally, by both." "Teaching in the Honors Program has provided me with the opportunity to stretch and grow as a teacher. Not only did working with small classes of bright, eager, and driven students allow me to test out new teaching strategies and learning activities, but it also afforded me the chance to develop closer relationships with students. Teaching in the HP is a rewarding and challenging experience that I highly recommend." "Teaching in the Honors Program at IU Southeast has really allowed me to focus on deepening the ways I bring material to the students. In an Honors seminar, the bar is higher for student understanding. I can expect more drilling down into the issues from these students, and the program supports me sharing the whole story in my content areas, not just the introductory pieces. Particularly as a part-time faculty member, having the small groups and big minds of an Honors seminar to look forward to each week is a delightful teaching experience. It's also great that the Honors Program is so supportive of its students and faculty. 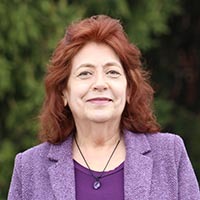 Generally, I have found this to be the case at IU Southeast, but the Honors support team and administration is really accessible, always helpful, and the students report that they really get the kind of attention and guidance that they need from this team. From the faculty side, there is nothing but courtesy and attention to detail. These little things matter, and they make me even more proud and happy to teach for the Honors Program at IU Southeast." 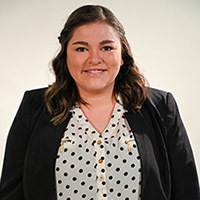 "Having served as the Honors Program Office Assistant since 2008, I've known for quite some time that Honors Program students are motivated, curious, and enthusiastic in their academic pursuits. My teaching experience prior to teaching for the HP prepared me for the basics of classroom management and interaction, but, regardless of my training, I couldn't have anticipated how challenging and invigorating teaching for the HP would be. I've now taught both the introductory seminar sequence (H103 and H104) and an upper-level seminar, and I can honestly say the experience has been among the most rewarding of my career to date. The smaller class sizes foster a more personalized working relationship between instructor and student, and I had the pleasure of seeing students form a sense of camaraderie that's continued long after the class ended. Although it's certainly more challenging to teach a group of students with vastly different academic backgrounds and aspirations than it would be to teach a group of upper-level students of the same discipline, the rewards of meeting this challenge are lasting for instructor and student alike. I am very fortunate to have had the opportunity for such experiences, and any instructor seeking such a challenge will not be disappointed."